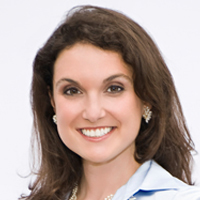 Dr. Nicole Lipkin is a business psychologist at Equilibria Leadership Consulting, an international business/organizational solutions company based in the United States. She coaches and consults with leaders and their organizations to improve management and leadership skills, strengthen the leadership pipeline and develop sustainable behaviors and practices that help increase organizational and staff resilience and sustainability. She is also the co-author of the popular book, Y in the Workplace: Managing the "Me First" Generation and author of What Keeps Leaders Up at Night.